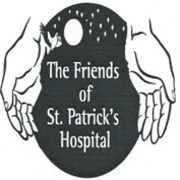 To contribute to general running costs of the wonderful facility that is St Patrick’s, we are looking to raise nearly €10,000 from our endeavors on the evening. The money donated to The Friends is currently been used to purchase beds, chairs and enhance the areas used by our patients. It is our aim to keep St. Patrick’s as comfortable and as homely as possible.